Property 1: New and modern villa right next to the ski lift: Ski-in/ski-out! Property 9: Fantastic spacious and luxurious chalet on the Sonnberg in Kichberg in Tyrol. Property 12: A super de lux millionaire's villa in Kirchberg with a private swimming pool. 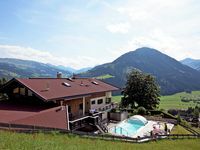 Property 19: A detached house with plenty of privacy near Westendorf and Hopfgarten.